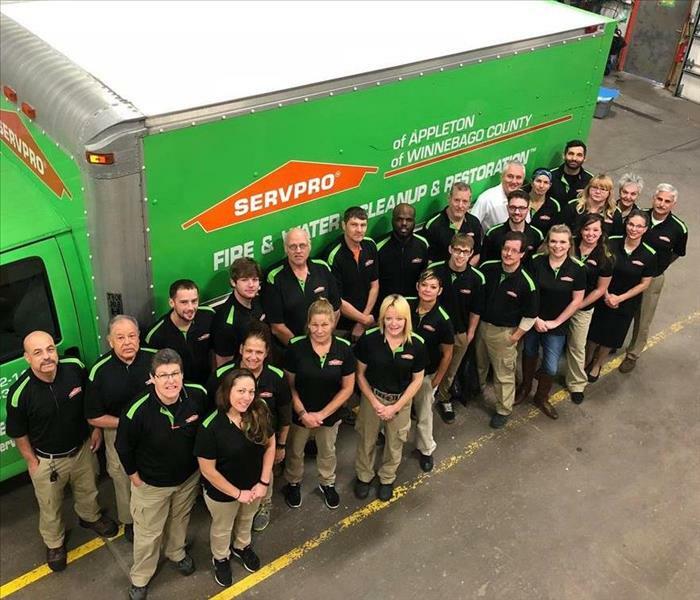 SERVPRO of Appleton & SERVPRO of Winnebago County take great pride in being a part of the Appleton and Winnebago County Communities. We understand that communities like ours hold America together. We want to do our part to ensure that the Appleton Community, and all of the Communities in Winnebago County, thrive by helping those less fortunate, keeping the area safe, and making our communities the best they can be. We are proud to serve as a drop off location for Toys for Tots on a yearly basis, as well as host Continuing Education Classes for Insurance Professionals at the Fox Club inside Fox Cities Stadium, the home of Fox Valley's own Wisconsin Timber Rattlers. We are also proud to have amazing employees who donate generously to Toys for Tots, and volunteer their time doing things like ringing bells during the holidays for the Salvation Army, assisting veterans on their Honor Flights, supporting local booster clubs, and so much more. If you have a worthy cause, we'd love to hear about it.